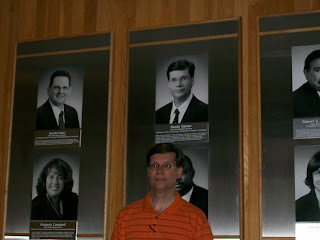 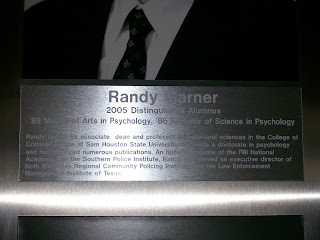 Randy was honored with the 2005-2006 Distinguished Alumni award from the University of Houston Clear Lake where he received his bachelors and masters degrees. 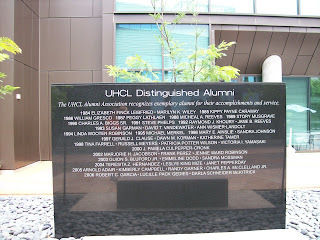 In May of this year they erected a very nice granite distinguished alumni monument, alongside their beautiful water feature, with the names of each distinguished alumni inscribed on the wall. 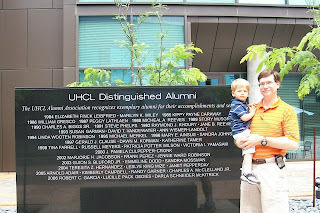 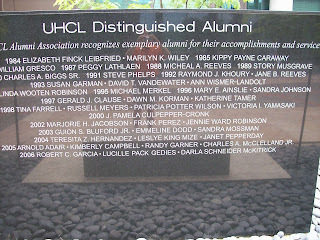 This summer we visited UHCL to see the new alumni monument, as well as the wall of honor inside the Bayou building which features pictures and biographies of all distinguished alumnus. 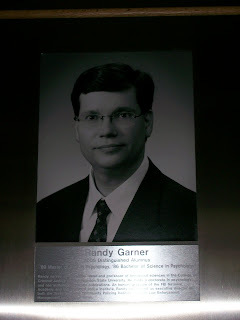 If you look really carefully at the granite monument, you can see Randy's name in the center, second line from the bottom.